The Volkswagen Golf GTE plug-in hybrid promises some faintly absurd-looking efficiency measures, emitting from 38g/km of CO2 and managing from 166mpg on the NEDC fuel economy tests. Of course, in the real world, this car probably won't make anywhere near those numbers, but with 204PS on tap, it's got the muscle to back up the now improved sporty styling. Hybrid cars used to be dull, compromised, soul-less things. In buying one, you sacrificed driving enjoyment for eco-minded technology and positioned yourself amongst smug, green-minded folk. It isn't like that any more - or at least it doesn't need to be, according at least to this car, Volkswagen's Golf GTE. This is a plug-in hybrid model, offering technology that seems to blend the efficiency and some of the cost savings of all-electric power with the range and flexibility of a conventional diesel. Both of these things are already offered elsewhere in the Golf line-up - TDI engines of course or, as an alternative to filling up from the black pump, the fully battery-powered e-Golf model. Both though, also come with drawbacks. We're told that GTE motoring dispenses with those. Does it? Let's see. The GTE is powered by a combination of a 150PS 1.4-litre TSI petrol engine and a 102PS electric motor. Unfortunately, that doesn't mean you get 252PS. When used together, they nevertheless deliver a useful 204PS - and the torque figure of 350NM can't be sniffed at. When both power units are running in parallel, the GTE will accelerate to 62mph in a crisp 7.6 seconds and on to a top speed of 138mph. It can even hit 81mph using electric power alone. Naturally, the GTE's battery packs put it at a weight disadvantage compared to a GTI. The extra 120kg of lithium-ion batteries and the 80kg of electric motor lift weight to 1,520kg but the additional bulk is mounted very low in the vehicle which means that the GTE will feel planted and well-resolved in a corner. Mind you, this is a front wheel drive car, so deploying all 350Nm of torque when accelerating out of a tight corner is going to induce a little torque steer. The GTE uses a six-speed DSG gearbox with a triple-clutch system specially developed for hybrid vehicles. A big part of the GTE's appeal is that it doesn't look that different to a GTI. 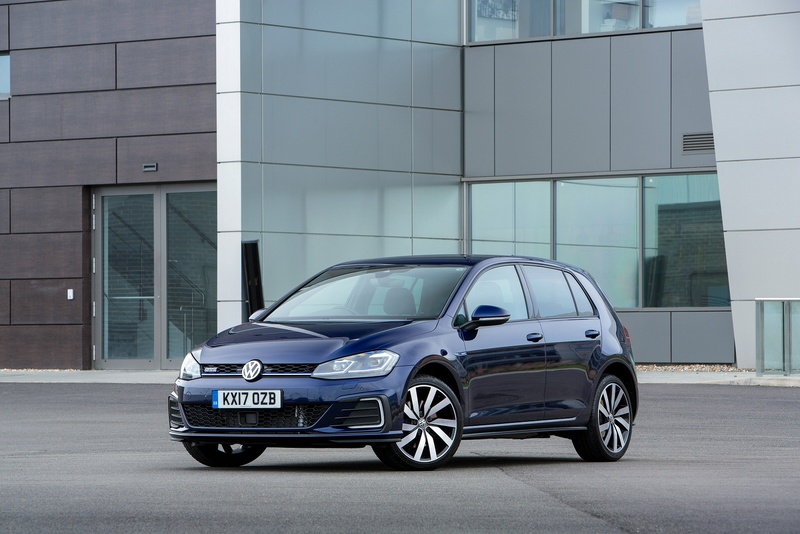 Visually, the Golf GTE combines elements of the look of the e-Golf and the GTI and of course it shares the aesthetic updates recently made to that car. The front bumper features C-shaped LED daytime running lights, like those on the e-Golf, as well as aerodynamic horizontal fins, like those on the GTI. 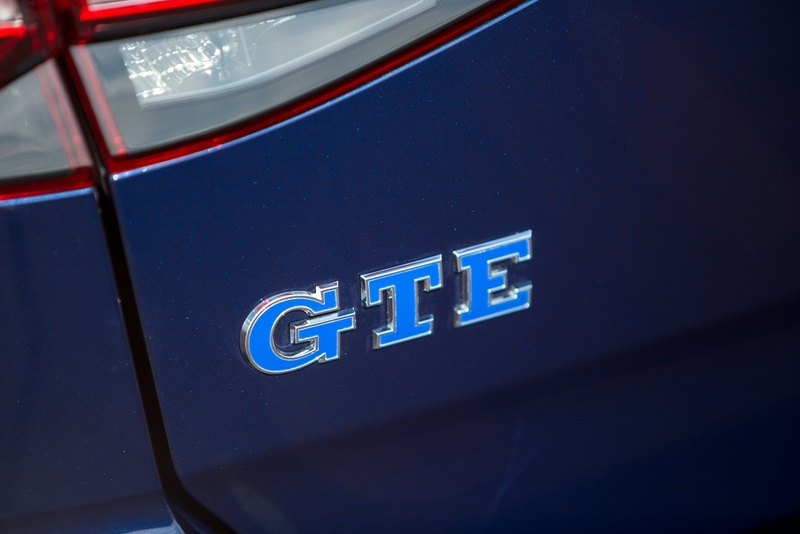 Where the GTI features red, the GTE has blue accents, including across the radiator grille and into the headlights. The headlights, along with all lights on the GTE, are LED. In the UK, 18-inch 'Serron' alloy wheels are fitted as standard and the car is sold in the five-door body style only. 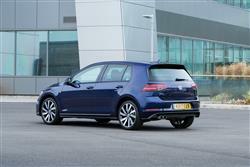 Inside, as on the outside, the Golf GTE features blue highlights where the GTI has red. 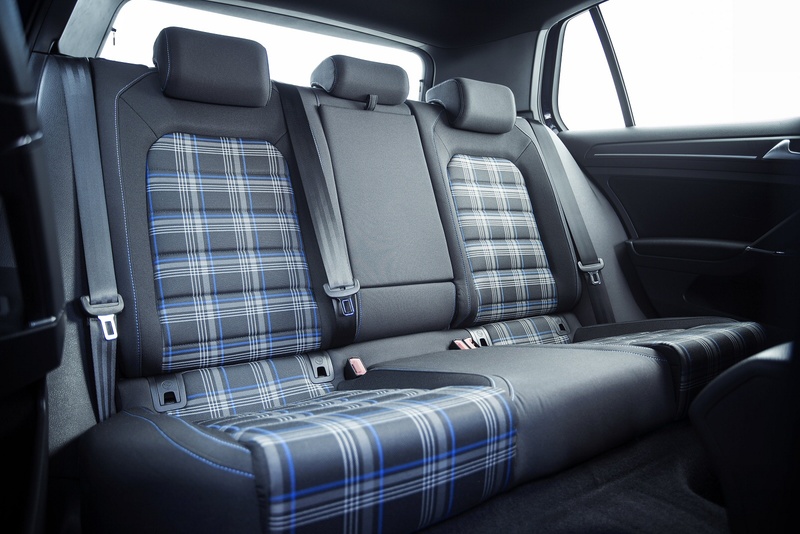 This includes stitching on the steering wheel, gear lever gaiter and seats, plus a blue stripe in the tartan pattern on the sports seats. 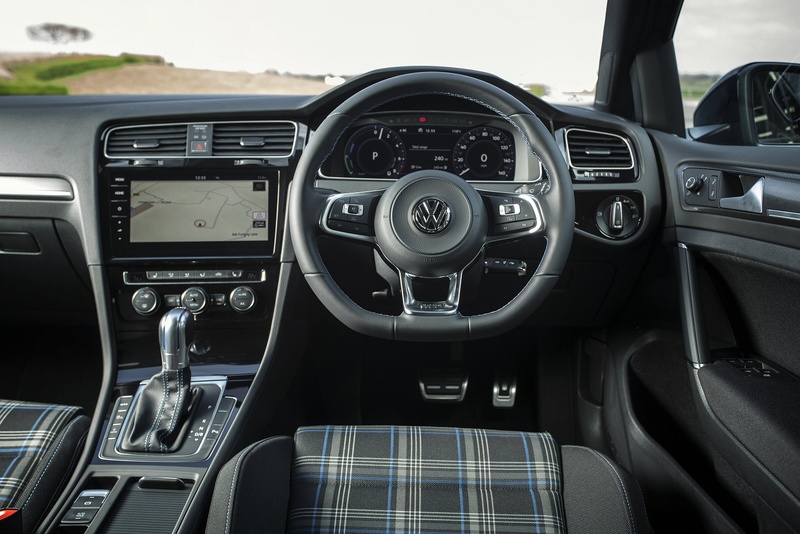 You still get the flat-bottomed steering wheel with its circular hub and deep dish with audio, telephone and cruise control buttons mounted on two of its three spokes. There's also a set of drilled pedals and a big alloy foot rest. The vehicle speedometer and tachometer are familiar and the latter is supplemented by a power meter in the central display, which shows the status of the battery, whether or not power is being used and the intensity of any regeneration. The biggest obstacle the Golf GTE has to overcome is one of customer perception. More specifically, it's that most people hear 'plug-in hybrid' and translate that to mean 'massively overpriced vehicle that will never justify its cost'. The thing is, the GTE prices from around £28,000 once the £2,500 government Plug-in Car Grant has been substracted from its initially off-putting asking price, which isn't that far off the cost of a GTI. Okay, so it is a little slower off the mark, but when it comes to running costs, there's no contest. 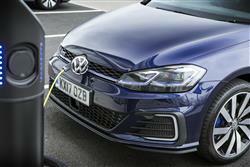 Two trim variations are being offered - standard and 'Advance', the latter including 18-inch alloy wheels, front heated seats and an updated version of the useful 'Discover Navigation' system which includes bespoke functions for electric vehicles, including the ability to identify potential destinations on electric range, and electric charging points. 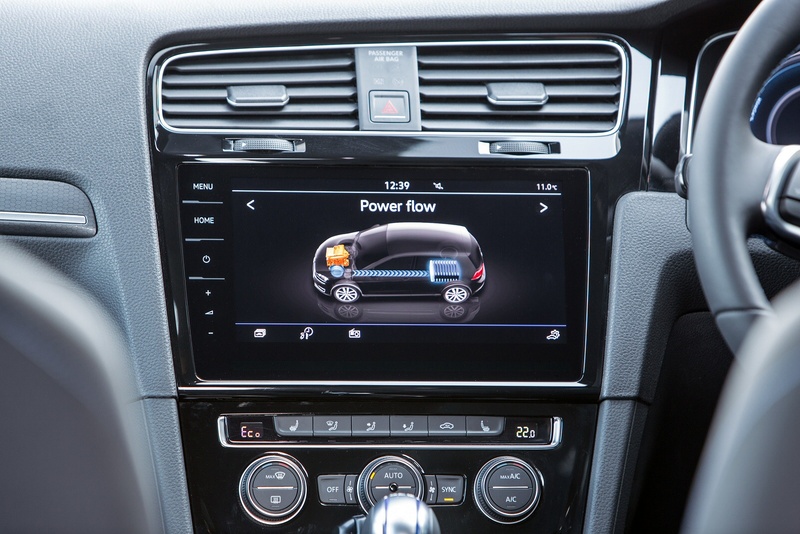 Both GTE variants also feature an e-manager which allows the driver to preset vehicle charging, as well as interior cooling or heating. 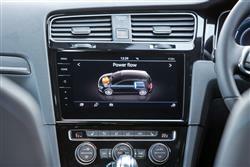 These functions can also be operated remotely using the Volkswagen Car-Net app on a smartphone: a three-year subscription is included in the UK. The published figures for the GTE look faintly unfeasible. 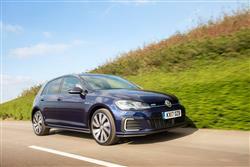 For the standard variant, Volkswagen claims a combined fuel economy figure of 166mpg and emissions of 38g/km. With the larger wheels of the plusher 'Advance' version, the figures are 157mpg and 40g/km. Overall, these kinds of readings really point to the deficiencies of the NEDC economy tests for measuring cars like this, rather than the real world abilities of the GTE. 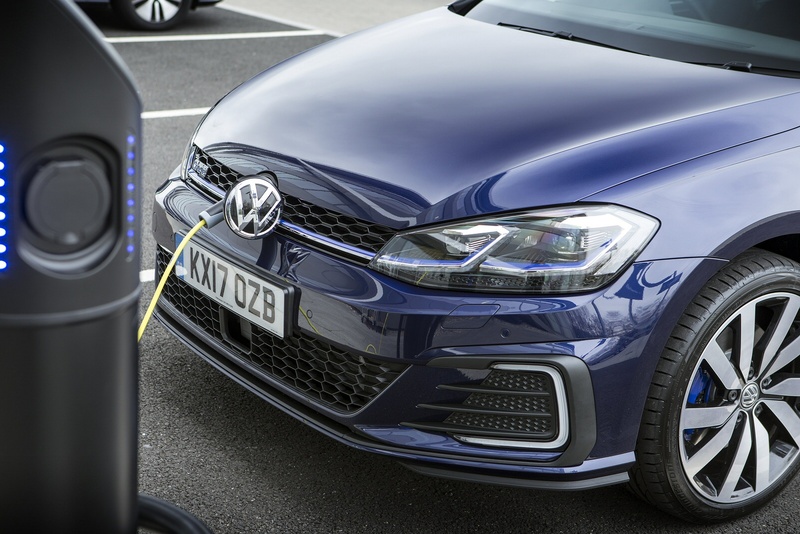 In pure electric mode (activated at the press of a button), the Golf GTE can travel up to 31 miles, depending on conditions, and the electric power can also be saved - for example when driving to a zero-emissions zone. The 8.7 kWh lithium-ion battery can be charged in around three and a three-quarter hours from a domestic mains outlet, or two and a quarter hours from a domestic wallbox. Residual values ought to be extremely good. 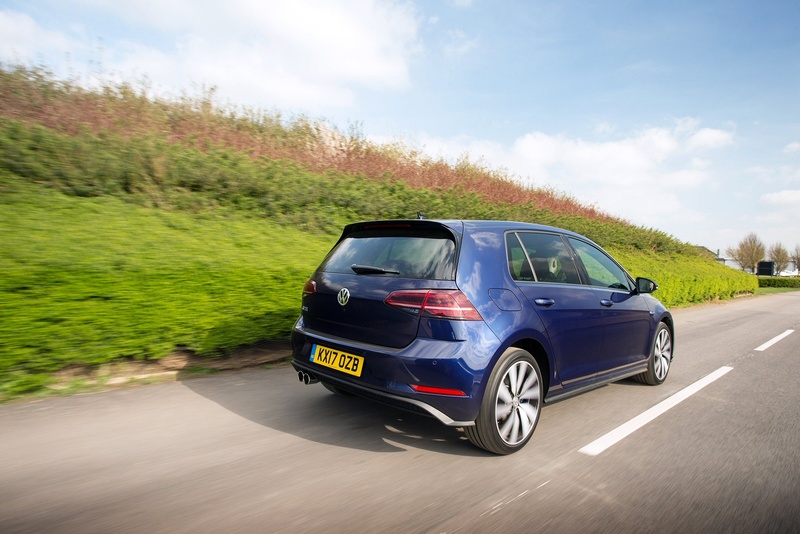 Golfs already hold their value very well, and adding super low emissions and monster fuel economy to the mix ought to make the GTE the best of the bunch for clinging onto its retained value. The idea of being able to undertake a 30 mile commute to work and back without having to pay for a penny of petrol is hugely appealing, although one suspects that in typical city traffic, that range will drop quite markedly. 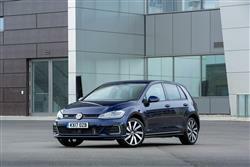 If you�re looking for a new Volkswagen Golf 1.4 TSI GTE 5dr DSG Hatchback for sale, you�ve come to the right place. 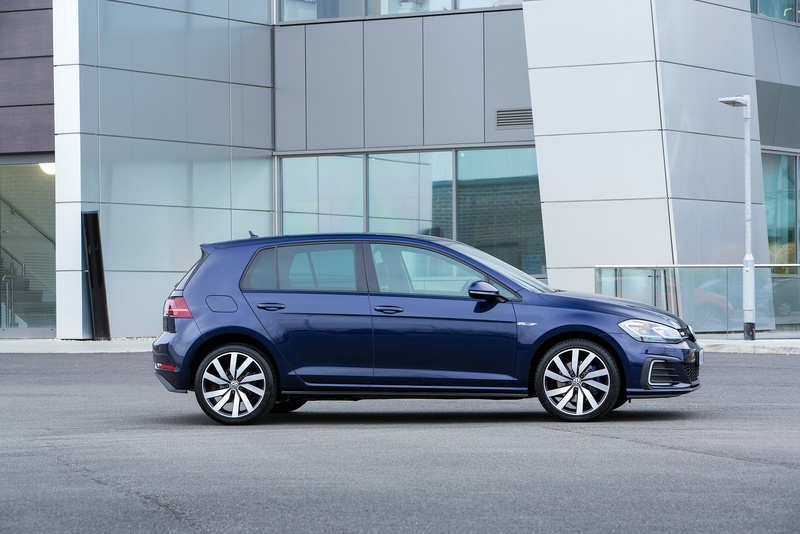 At Bristol Street Motors we don�t just have the best Volkswagen Golf 1.4 TSI GTE 5dr DSG Hatchback deals, we also offer friendly advice and help with all your enquiries to ensure your buying experience is a happy experience.